For many years our Support Staff (Program Assistants, Health Officer, Videographer, Photographer, Kitchen Assistant), and Director of Ministries, and any guest speakers, or volunteer worship band members, have bunked in a variety of donated trailers and fifth wheels up near the Retreat Center. 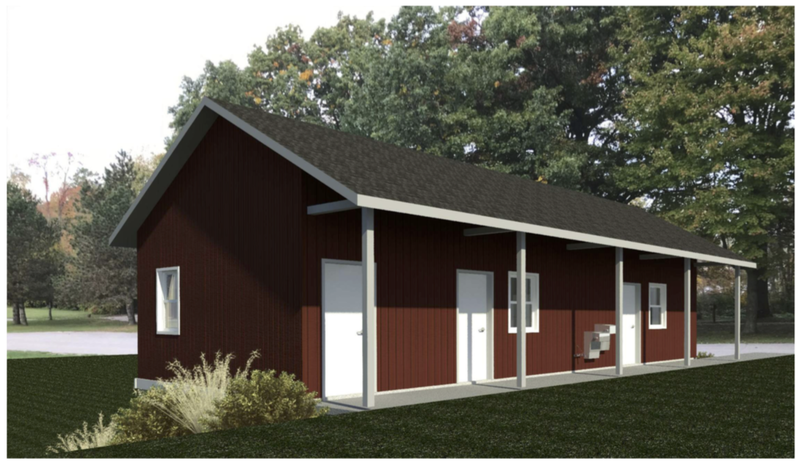 We’ve been dreaming, praying, and thinking about what’s next for SON-Life, as we seek to improve our camp experience, for both campers and staff alike, and we’re excited to unveil our next major project — STAFF HOUSING! Here’s an artist’s rendering of the west-facing side of the building, tucked into the hillside near where the basketball court currently sits. Before we even settled on this being our next project, funds began arriving, ear-marked for this project. Before we knew it, we had acquired over $10,000 towards the staff housing building before we even made it public that we were moving ahead with this much needed addition to our camp facilities. Already we’re seeing God provide in astounding ways! Here’s a artist rendering of the east-facing side of the building, which will be parallel to the basketball court. The bottom floor will have two points of entry that each lead to lodging rooms for male staff, and female staff, respectively. Each room will have 3 bunk beds, a table and chairs, and a bathroom. These rooms are where our Program Assistants, Waterfront Director, Videographer, Photographer, and Kitchen Assistants will reside. 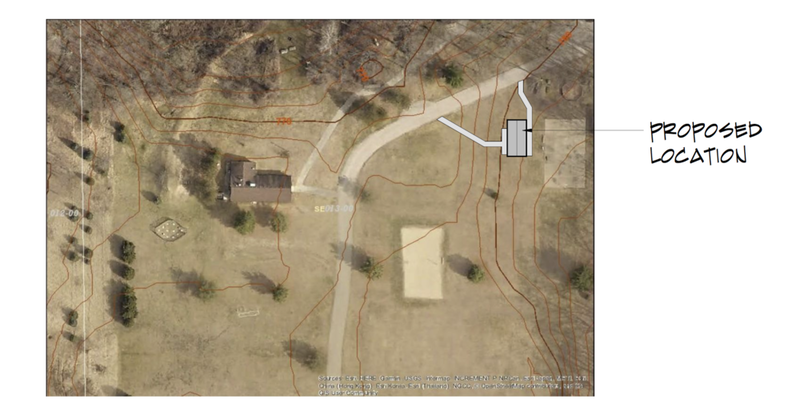 We also plan to install an outdoor drinking fountain or two for campers to use during summer camp. Staying hydrated is crucial for a great week at SON-Life! The upper level of the staff housing building will have 3 doors, each facing the basketball court. One of which will be for a mechanical room. The second will be the point of entry for the Director of Ministries’ apartment, which will include a bathroom, shower, bedroom, closet space, living space, and kitchenette. The third door, closest to our Retreat Center and Program Shed buildings will be the Health Officer quarters, which will include a bedroom for our Health Officer, a bathroom, a treatment room for any bumps and bruises our campers may get during their week of camp, and an isolation room in the event a camper needs to bunk close to the Health Officer. Here’s an overhead view of the proposed location. You can see the staff housing building is near the basketball court, program shed, and gaga ball, in the upper right-hand corner. We’re excited to make this dream a reality. It will be a massive improvement on the camp experience for both our staff and campers. The only way we can make this dream a reality is by having incredible donors like YOU who see the vision of SON-Life Camp & Retreat Center, know the fruits of our labor, and desire to be a partner in this project for the Kingdom. Giving online is safe and secure through PayPal. Just indicate that these funds are for the Staff Housing Project in the memo line. We also take checks in the mail, or credit card over the phone. As always, donations to SON-Life Camp & Retreat Center are tax deductible.